A new Haruki Murakami book is always a big event. However, I approached the publication of Hear the Wind Sing and Pinball, 1973 with a little trepidation. Neither is actually new. They are in fact Murakami’s debut works, the first two volumes of the Rat Trilogy which were, at his request, never published outside of Japan. Despite Murakami’s reservations about its merit Hear The Wind Sing won the prestigious Gunzo Literature Prize and both it and Pinball, 1973 have sold millions of copies in Japan. This new translation is published as one volume by Harvill Secker which has had some fun giving each novella its own identifying cover and opening position depending on which way up you pick up the book. 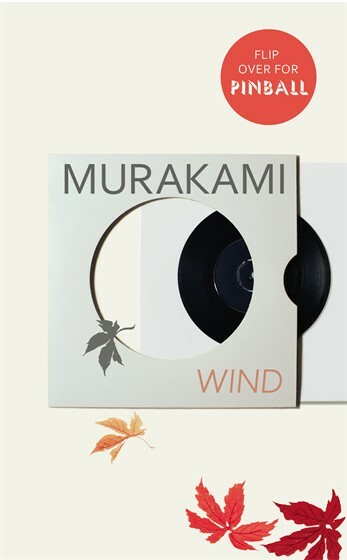 In Hear The Wind Sing, first published in 1979, the unnamed male narrator has returned home from college for the holidays spending most of his time hanging out in J’s Bar (Murakami was running a jazz bar at the time) smoking and getting drunk with his friend the Rat. In Pinball, 1973, which was published in 1980, he is living in Tokyo with two mysterious twins and has set up a translation business. He no longer sees the Rat who is struggling to finally leave the town where he has always lived and the woman he has been seeing. Murakami needn’t have worried. Hear The Wind Sing and Pinball,1973 interesting and satisfying in their own right. 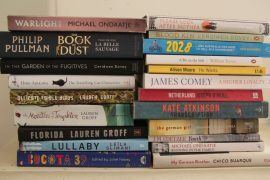 But they also give a fascinating insight into the evolution of the author’s literary style of magical realism and his mastery of allegory. Here you see the introduction of many of the themes which recur through Murakami’s later works such as a protagonist who is searching for something missing from his life, modern cultural references, sexually charged relationships, the constant focus on the mundane details of life and brilliant bursts of comedy. For established fans, the long wait to read these early works has proved worth it. Lovers of all things Murakami should watch out for the upcoming Mr Murakami’s Place which in its book form details the author’s reply to more than 450 questions posted by his fans in 14 languages and from more than 60 countries. The e-book will include 3716 replies. And that’s still a drop in the ocean from the 37,465 emails he is said to have received over a two week period in January and which he spent three months replying to.